"They don't make them like they used to!" "When I was young, they were made to last!" How many times have you heard those expressions? Do these sentiments explain the growing "Toy Collectibles" phenomena? Why are so many adults collecting toys? Is it that we look back at our childhoods with rose colored memories? Is it that we remember all of the fun specific toys brought us? Nostalgia is probably the reason a lot of adults are now toy collectors. We look back very fondly to when we were young and remember playing with our favorite Barbie doll or G. I. Joe. 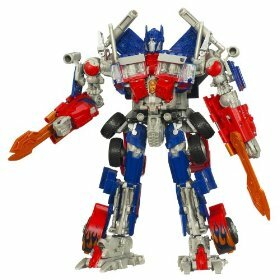 We can remember every step it took to transform our favorite Autobot from (let's say) a car to a defender of justice and the truth. We catch ourselves remembering our favorite Cabbage Patch doll when we spot a newer version. Or perhaps we catch a glimpse of a modern day cartoon and find ourselves thinking about Donatello and the rest of our Teenage Mutant Ninjas. When we were children, our toy supplies were limited by our allowances and also by the generosity of the adults in our lives. Adult toy collectors can enjoy the freedom of only being "limited" by themselves. Adult toy collector can decide whether or not they want Strawberry Shortcake, Lemon Meringue, Raspberry Tart (now known as Raspberry Torte), or ALL of them! Whether it's a Lionel train set, glass marbles, Beanie Babies, Flintstones, trolls, or Tiny Tears, there are probably many people out there with the same fond memories as you have. Our favorite childhood toys have a way of making appearances in our minds, which could be the reason for this new Toy Collectible craze!